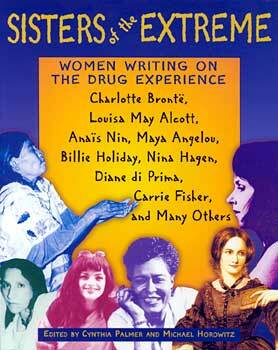 Sisters of the Extreme captures the drug experiences of women from diverse times, social backgrounds, and professions in memoir, fiction, poetry, song, and art. From the mythic associations of ancient history and the riturals of indigenous peoples, through the rampant opiate intoxication of the Victorian era, to the junkies, psychedelic pioneers, anthropologists, and ravers of the late twentieth century, the selections in this book show us that the real experiences of women are far more compelling than antiseptic sociological studies or sensationalized tabloid accounts. Some of the contributors are after visions, revelations, and the healing powers of sacred plants while others are seekers of oblivion --addicts and abusers. Whether describing the effects of opium, LSD, peyote, mushrooms, ayahuasca, cocaine, heroin, MDMA, or marijuana, these women write about their experiences with power and eloquence. Through their experiments with drugs, they cross the boundaries set up by society: sometimes to escape, sometimes to search for deeper meaning, but always with a sense of adventure. Longtime drug historians Cynthia Palmer and Michael Horowitz are the directors of the Fitz Hugh Ludlow Memorial Library, the nation's largest private collection of drug literature. They are also the editors of Moksha: Aldous Huxley's Classic Writings on Psychedleics and the Visionary Experience. Mr. Horowitz is the editor of Timothy Leary's Chaos and Cyberculture and a bibliography of his writings. "A fascinating book. I didn't realize I had so many sisters of the extreme." "A long-overdue addition to the literature of drug experiences. . . . Gives a new perspective on the complex reasons for human involvement with psychoactive substances." "A most important contribution to the understanding of the feminine psyche. An amazing and extensive collection of first-hand narratives of psychological and visionary importance." "The richness of subjective materials is exquisite. Many drug researchers tend to forget that the subjective experience is the raison d'etre for drug use. Books like this one are an important counterbalance to the objective checklists of clinicians. The book contains some of the best expositions of sensory detail this reviewer has ever read."